As For The Prefect Size and Magnetic,FINDMAG Mini Magnets Can be Easily Stick to any Stainless Steel refrigerator, Washing machine, office board.School Lockers Etc. Prefect For Office,Craft,Science Project,School Supplies, Hobby, Even Creat DIY Project. 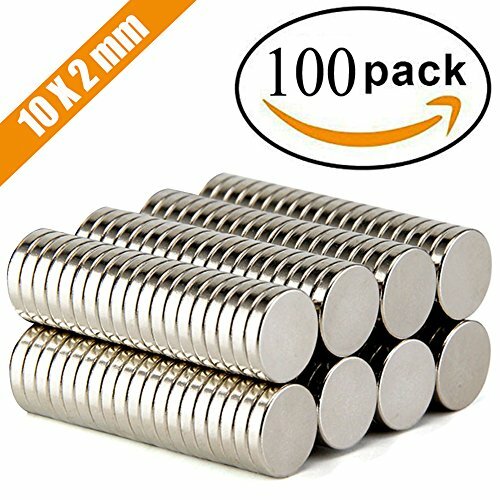 Each Stainless Steel magnets won't leave a single scratch on it. Each Stainless Steel Magnet Features Clean And Sleek Round Form Manufactured Using New No-Scratch Technology And Strong Magnetic Ability. We sell on amazon and serve for you, and we need a good reputation, we need make money to feed kids and our family, so please dont worry about the after-sale service, you can contact us at any time for any issue. We are not the best, but we are trying our best to provide you the best service! Countless ways to re-organize and simplify your life, these magnets are perfect to be used as refrigerator magnets, dry erase board magnet, whiteboard magnet, office magnets, fridge magnets, DIY magnets and much more. Magnets have high resistance to demagnetization, corrosion and oxidation,new magnets are made from Brushed nickel silver finishing material. Scratches on the stuff and clutter are past now and hello to your new tableTops Robust, long-lasting, stainless steel, corrosion resistant Magnets made from Brushed Nickle silver satin material. At any time during your purchase if you feel unsatisfied just return it to us.We will refund full payment promptly with a smile.Because our only principle "100% Customer Satisfaction",satisfied 99% is not good enough for us. If you have any questions about this product by FINDMAG, contact us by completing and submitting the form below. If you are looking for a specif part number, please include it with your message.